This ecology based vector set has recycling icons, light bulb, arrows, leaves, floral elements, butterflies and other nature and green influenced graphics. The title states"Change the world" and this graphics set will help you build designs for your environmentally minded people. 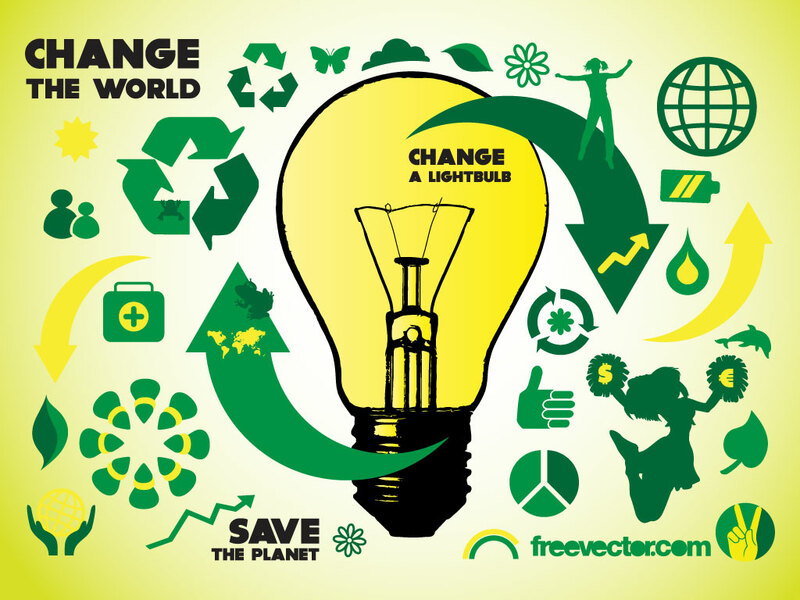 Tags: Arrow, Butterfly, Ecology, Green, Leaf, Light Bulb, Recycle, Silhouette.